Over 80 percent of growing businesses start out using QuickBooks to manage their accounting processes. Which solution they move to next often follows a less linear path to the enterprise resource planning (ERP) solution category. For the small to midsized enterprises (SMEs) that maintain status quo and continue to use QuickBooks, despite outgrowing its feature set, will often see competitors that run on ERP outpace them. So why do SMEs delay the transition to an integrated ERP solution? Turns out it’s a complex problem with a simple answer. To help explain, Vision33 partnered with Mint Jutras, an independent enterprise researcher, to learn more about the enterprise technology trends in 2018. The results of their research demonstrate the impact ERP can have on small to midsized enterprises (SMEs) that have become more complex than their current business management solution can support. Moreover, it explains a democratization and accessibility of ERP solutions to SMEs greater than when the category was first introduced. 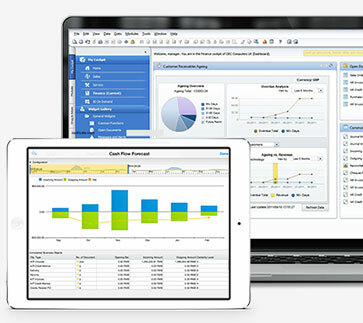 To businesses that experience fast-growth but continue using QuickBooks, instead of moving to ERP, the phrase ‘you can’t squeeze blood from a stone comes to mind.’ Sooner or later business management software challenges will stunt your business growth and prevent you from reaching their goals. 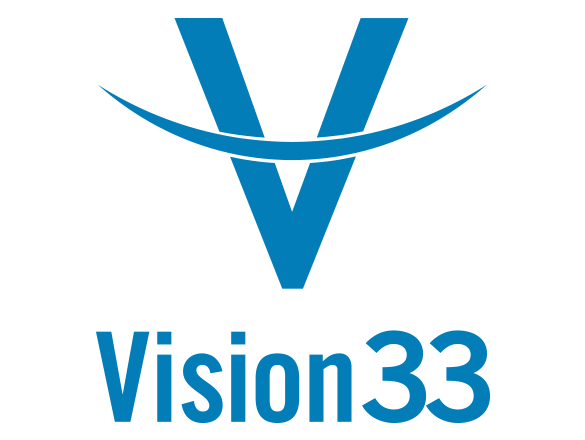 Vision33 has written extensively about QuickBooks challenges in the past. However, we equally understand the lament of small business that moving to a more robust and integrated ERP solution has a cost much too high to bear. The truth is, this barrier to entry is in large part perception. And now you can find out why in Vision33’s latest eBook. 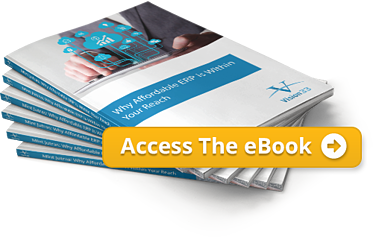 Read Why Affordable ERP is Within Your Reach to learn how you can afford ERP and compete like a big business on a small business budget.